More than 20 fire tenders were despatched to fight a major fire in the Stillorgan area of Dublin last night. Three firefighters received injuries to their hands and arms. They were admitted to St James’s Hospital for treatment and later discharged. 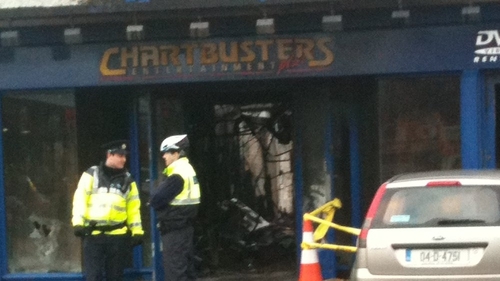 The blaze happened at a building on the Lower Kilmacud Road that houses a pub, restaurant, DVD store, dry cleaners and a number of apartments. A search of the apartments was carried out, but they were found to be unoccupied. The fire broke out at about 9.30pm and was brought under control shortly after midnight.